Under the guidance of history teachers Kevin Daugherty and Jane Fisk, eleven million can tabs were collected in 1996-97 by public school children from the Mahomet-Seymour Jr. High, Mahomet Illinois, to represent the numbers of persons murdered by Nazi Germany during the Holocaust. 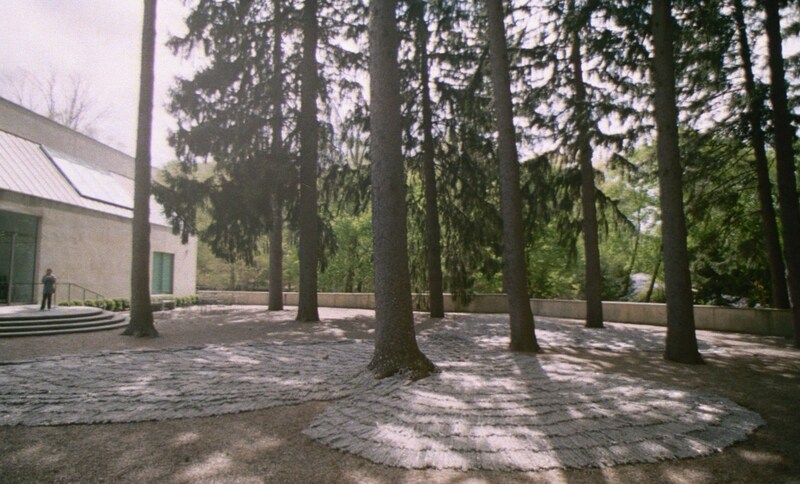 Six million tabs were collected to represent the numbers of deceased Jews. Additionally 5 million tabs were collected to numerically represent the other murdered minorities, including political dissenters, gypsies, pacifists, disabled persons, homosexuals, as well as those who tried to help the persecuted. A few months after the collection began, Eva Mozes Kor, survivor of Dr. Joseph Mengele's experiments on twins, visited the students and contributed 119 tabs, each representing a member of her family who was destroyed. Kor dropped the tabs, one at a time, into the 890,000 that the students had already collected. With added conviction the class intensified their efforts, posting their collection on the internet in response to their awareness of Holocaust denier web-sites. Syndicated press coverage fueled national awareness of the tab collection. Millions of tabs began arriving. The students met their goal eventually receiving 11 million tabs from all 50 states and eight countries. At a Yom HaShoah (Holocaust Remembrance Day) commemoration, students poured out 6 million tabs in the gymnasium, surrounding the mound with the added 5 million in shopping bags. National and local news media brought this most important school effort into the homes of millions of TV viewers across the nation. At the end of the school year the tabs were sent for recycling. Schrier learned about this soda tab collection just after completing a memorial to honor holocaust hero Raoul Wallenberg, commissioned by the Simon Wiesenthal Museum of Tolerance in Los Angeles. At the time, Schrier was looking for possible material to use for a sculptural work resembling massive WINGS, a form that he imagined while working on the Wallenberg project. He states that the tabs, the dynamic experience of the students who collected them and the noble efforts of thousands of tab contributors, provided an exceptional opportunity for the artistic work he envisioned. Robert Silverman, then Executive Director of the Champaign - Urbana Jewish Federation, asked the recycler to hold up the recycling of the nearly 5 tons of tabs. In response to Schrier�s interest, the CEO of the recycling plant, Lou Mervis, made the tabs available to him. After five months of being challenged by the material, Schrier invented a feather structure made from tabs, wire, and a two foot aluminum rod, that students could build in workshops he subsequently designed. 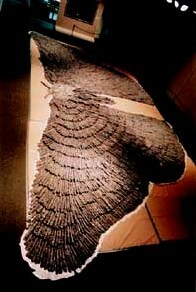 Since 1997, approximately 60,000 participants from 23 states and Canada have constructed soda-tab feathers for ten site-specific variations of WINGS of WITNESS. The project creates a network of many thousands of helpers linked together through art and hope, and constantly enlarging. Workshops are continuing until all of the millions of tabs have been formed into the finished elements for the sculptural works. After the first million tabs were converted into feather structures in workshops, Schrier created a site-specific method of assembling them into configurations resembling wings. 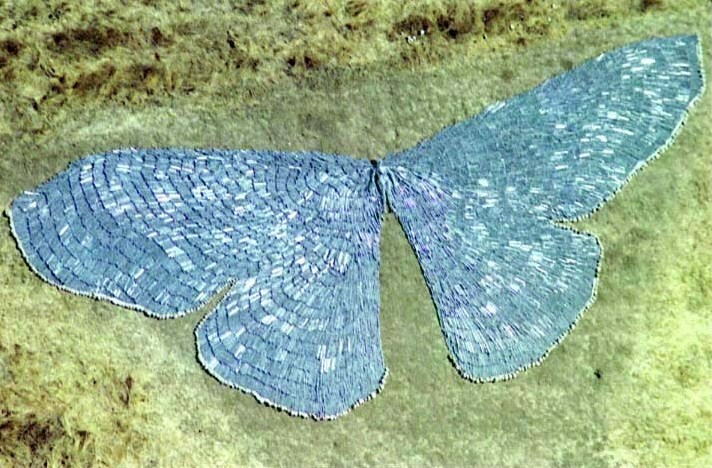 The structures are laid out in overlapping rows by volunteers, according to a placement guide drawn on plastic sheeting, initially reflective of a massive butterfly. The Butterfly shape is a reference to a poem written by young Pavel Friedmann who was a prisoner at the Terezin concentration camp in Czechoslovakia, and perished at Auschwitz. Each project installation is a response to the specific characteristics of the exhibition site. Newly made feathers are added, further extending the scope of the project. Exhibitions travel to museums and cultural centers accompanied by a book containing sixty-thousand signatures and school, museum and institution names, documenting participation to date. Schrier assembled the first configuration as a work-in-progress in 1998 at the MSJH school with the community that collected the tabs. Schrier's second version was exhibited September 1998- February 1999 at Yeshiva University Museum, Manhattan. 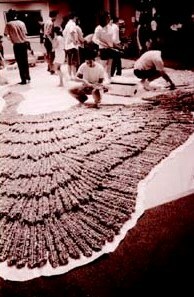 The third variation of the Wings was presented in April-May 1999 at the Breman Museum, Atlanta, where nearly one thousand students constructed feathers during the week of Yom HaShoah, Holocaust Remembrance Day. 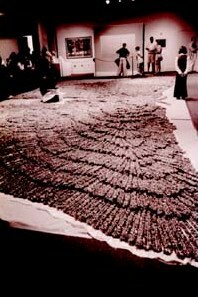 Containing over one and a half million tabs, the assemblage spanned nearly forty feet across the gallery, numerically recalling the number of children destroyed during the Holocaust. For the fourth interpretation in the summer of 2000, Schrier designed a massive version to spread on the side of a mountain slope in Simi Valley, California at The Brandeis Bardin Institute, where he was assisted by the counselors-in-training, campers and institute staff. 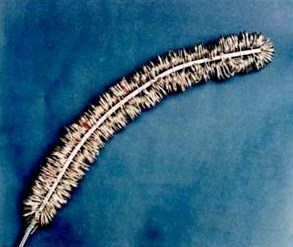 Challenged by the columns of the changing exhibitions gallery at Holocaust Museum Houston in 2000, Schrier designed fifth interpretation of the WINGS and lead several thousand more participants in the construction new tab-feathers, and in the installation of the work. In June 2001 Schrier directed the sixth incarnation that he designed, spread in a meadow at historic Ida Lee Park, Loudoun County Virginia. Schrier�s seventh site specific interpretation went on to grace a meadow on Long Island Sound in 2003 at The Nassau County Holocaust Memorial and Educational Center, Glen Cove, NY. 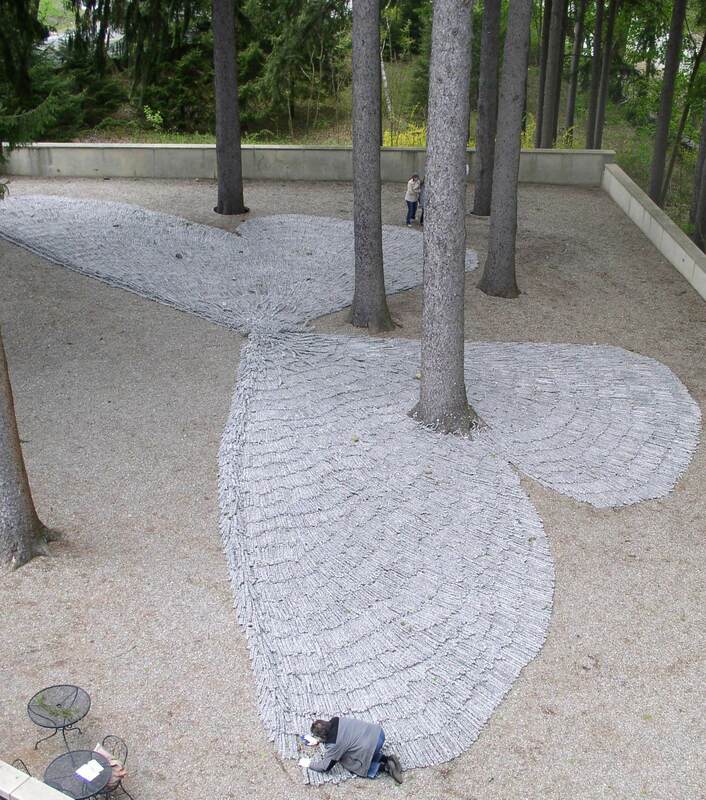 In 2005 Schrier designed a wingspan penetrated by massive pines that traversed the sculpture garden of the Katonah Museum of Art, Westchester County NY. Similar to other installation sites, the assemblage was accompanied by a gallery exhibition with a project photo chronology, and a selection of Schrier�s related works of art. Prior to its exhibition at each of these sites, Schrier conducted workshops where several thousand additional area participants made feather structures for continuing installations. From October 2013 to December 2014, The Hudson Valley Center for Contemporary Art, Peekskill, NY, featured Schrier�s Unfinished Flight, a newly conceived upright version of the winged assemblage sculpture spread across a massive museum wall. WINGS of WITNESS workshops continue. When needed, added soda can tabs are purchased by WINGS of WITNESS from Ronald McDonald House Charities. The Charities collect the tabs to provide support for families of severely ill children. Then, the otherwise nearly worthless tabs, have a second phase of purpose in teaching tolerance by becoming part of the multiple versions of the WINGS of WITNESS memorial. Please see Photo Metamorphosis for dramatic visuals of youth and adult participants and the development of WINGS of WITNESS.